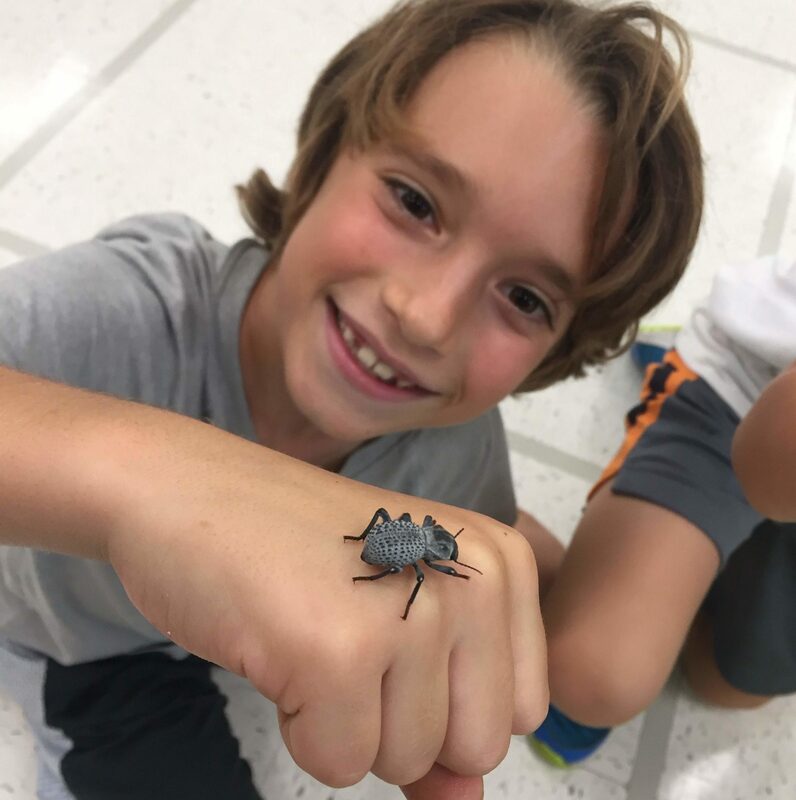 Students learn the physical characteristics, defense mechanisms, life cycles and basics needs of each creepy crawler. 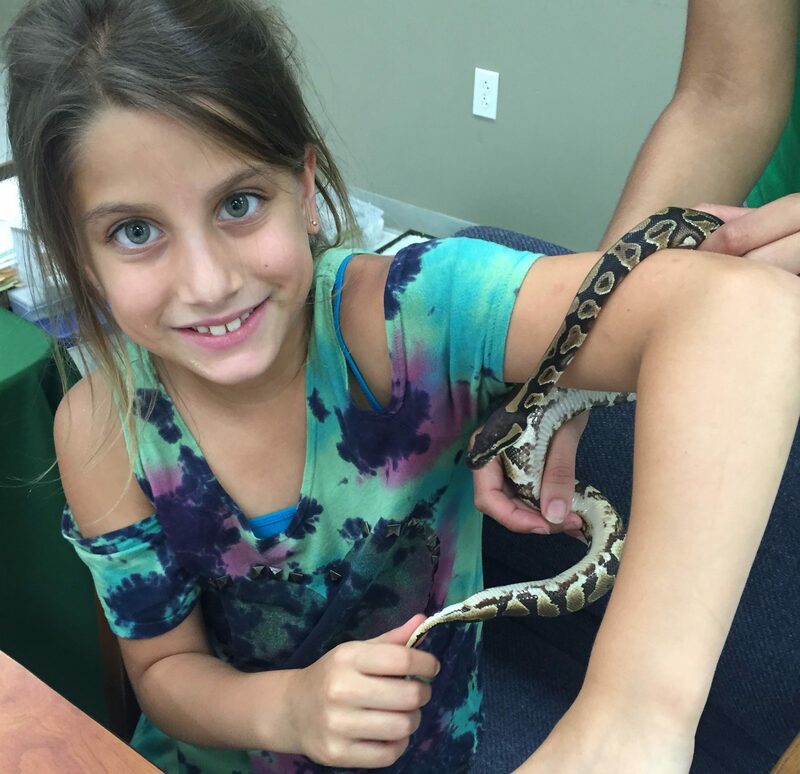 They understand the differences between shedding and molting as they observe arachnid skeletons and feel snakeskin. Then, it’s time for the coldblooded reptiles. 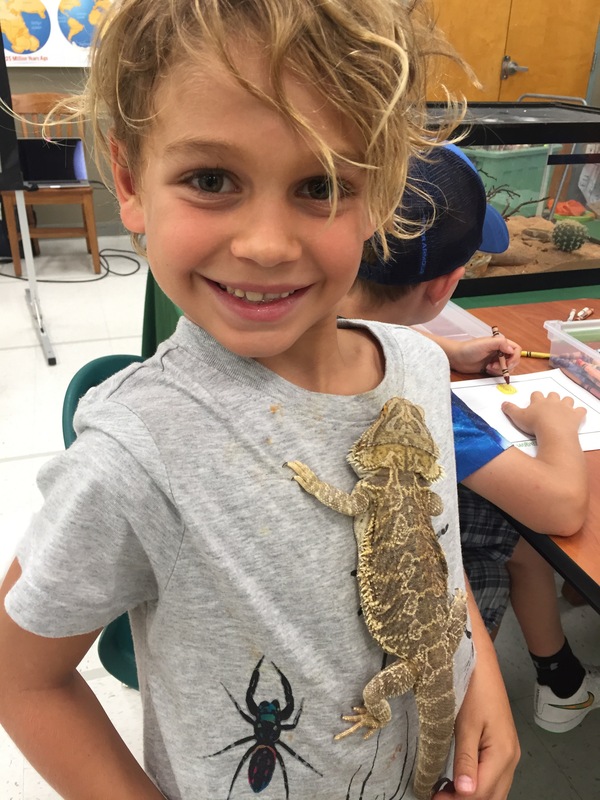 Students never forget the moment they bravely touched the spikes on a bearded dragon (the spikes are actually very soft)! Most importantly, children have a new-found appreciation towards nature. 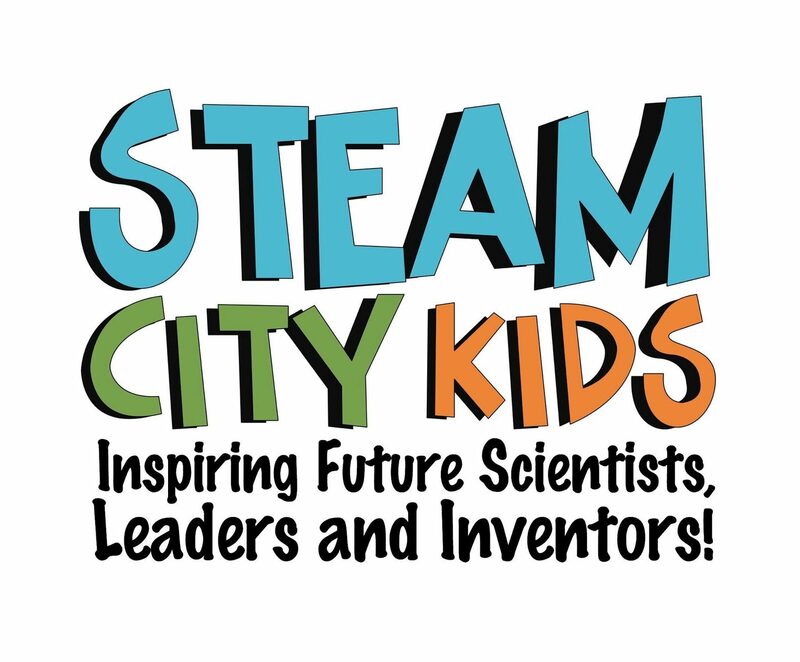 After their hand-ons experience with STEAM City Kids, they are encouraged to explore and protect their world. If there are no indoor rooms available, the presentation area must be in the shade outside with a limit of 4 hours in one day. Temporary tents blow in the wind and a shaded area from trees eventually turns to a sunny spot. Please reserve space under a permanent pavilion type structure. If you need more than 4 hours to accommodate your students, we will schedule another day to complete the in-school field trip. 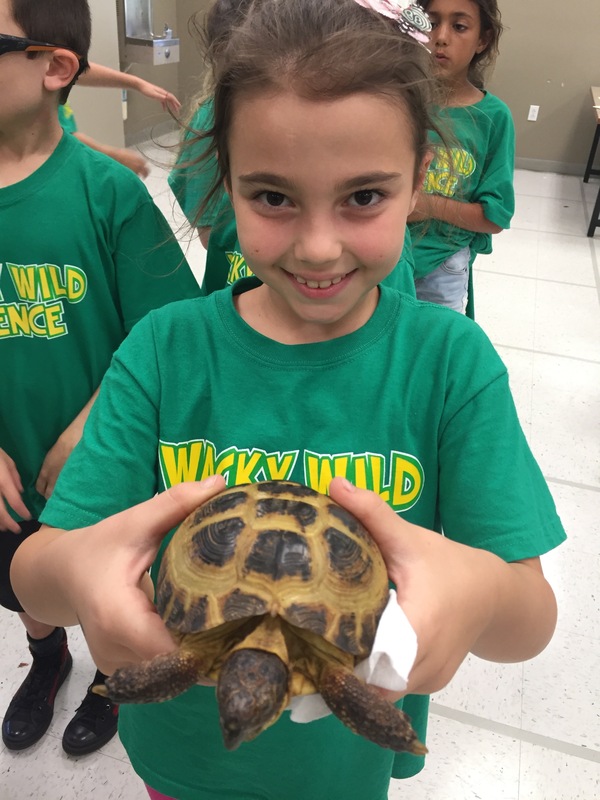 The limit on time outdoors is for the well-being of the students, presenters and animals (The reptiles love the heat, but some of our bugs and arachnids may not survive all day outdoors in their containers).